A book entitled “Green Technologies for the Oil Palm Industry” was recently published by with an internationally renowned publisher – Springer Nature. The editors of the book are academics of University of Nottingham Malaysia Professor Ir Dr Dominic CY Foo and Mustafa Kamal. 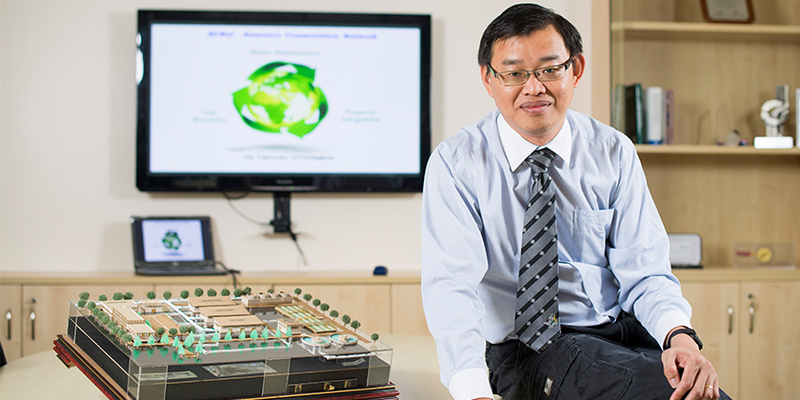 Professor Foo is the Professor of Process Design and Integration, while Mustafa Kamal is the Honorary Associate Professor, both with the Department of Chemical and Environmental Engineering of the University. 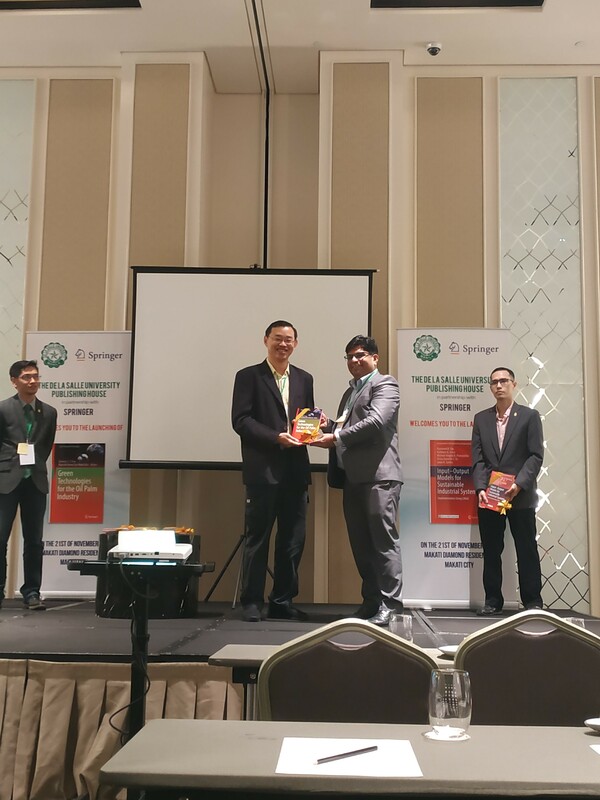 Following the publication of the book, a book launch event was held at the 25th Regional Symposium on Chemical Engineering (RSCE) at Manila, Philippines on 21 November 2018. The launch event was hosted by Dr Ramesh Nath Premnath, Publishing Editor of Springer Nature Singapore. Also present during the launch was Professor Raymond Tan (De La Salle University Manila), Dr Nishanth Chemmangattuvalappil and Dr Jecksin Ooi, Steve Foong (all with UNM), who contributed several chapters to the book. The new book “Green Technologies for the Oil Palm Industry” focuses on various green technologies for the oil palm industry. It consists of eight chapters, outlining the state-of-the-art advances in various aspects of the oil palm industry, ranging from palm oil milling processes to palm biomass utilisation. Apart from process development and intensification (e.g. oil recovery with bioethanol), some of the chapters also report ready-to-use computational and optimisation algorithms for various purposes (e.g. calorific values estimation, biomass allocation, etc.). Professor Foo has published five books and more than 140 papers in international refereed journals and has made more than 190 conference presentations and serves as the journal Editor-in-Chief for Process Integration and Optimisation for Sustainability (Springer), and is the Subject Editor for Process Safety & Environmental Protection (Elsevier), among others. He has won several awards including the Top Research Scientist Malaysia by the Academy of Science Malaysia in 2016; The University of Nottingham Vice Chancellor’s Achievement Award in 2014; Award for Outstanding Asian Researcher and Engineer from the Society of Chemical Engineers Japan (SCEJ) in 2013; Outstanding Young Malaysian Award by Junior Chamber International; Young Engineer Award by Institution of Engineers Malaysia in 2010 and Innovator of the Year Award of the Institution of Chemical Engineers (IChemE) in 2009. For more information, please contact Dominic Foo.